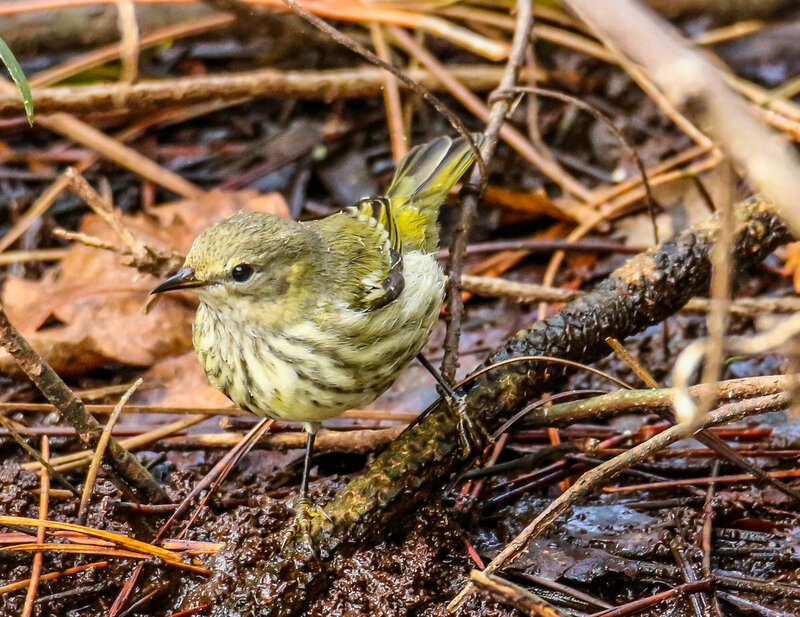 This is a Cape May Warbler. 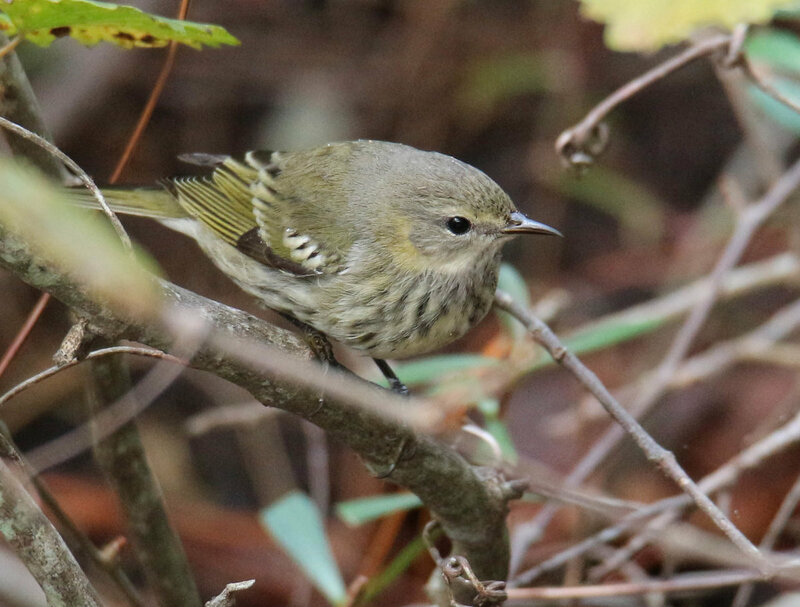 It does bear some resemblance to the Blackpoll but the breast is more streaky and the face is a little different. 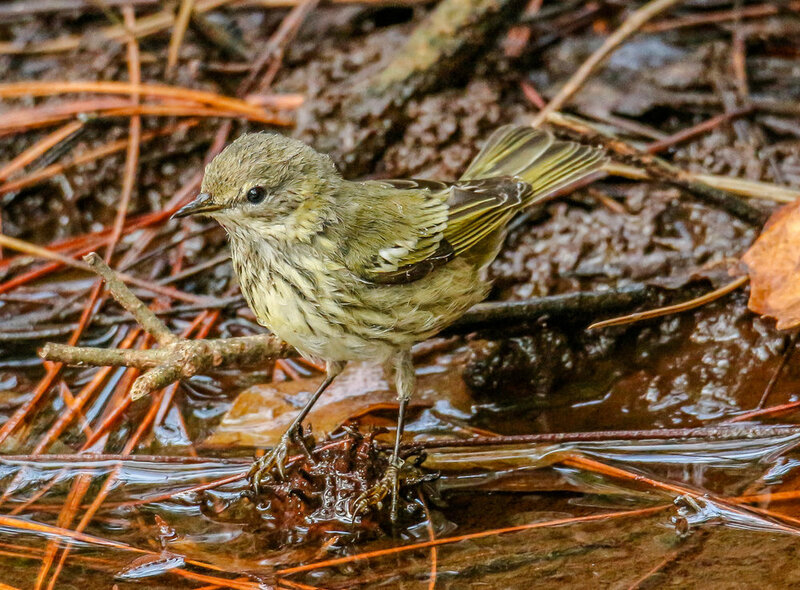 Also no orange feet. Cape May is probably also rare for your location and date. 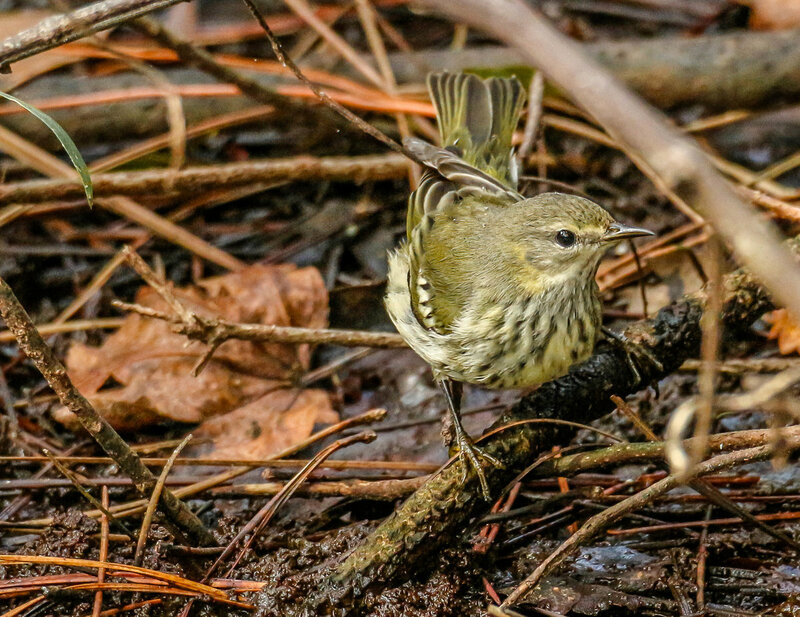 We have been having a few lingering Cape May Warblers here in Augusta Georgia, along with a few Blackpoll, Tennessee, and Black-throated Blue.